Rexolite® polystyrene plastic exhibits good dimensional stability, excellent sound transmission characteristics, and optical clarity roughly equal to acrylic materials. The most notable feature of Rexolite®, however, is that it maintains incredibly stable electrical properties into gigahertz frequencies. This extremely lightweight plastic is easy to machine, and Upland Fab has the expertise to deliver high precision Rexolite® parts and components that match your designs exactly. Manufactured by C-Lec Plastics, Inc., Rexolite® is a unique, cross-linked polystyrene, microwave plastic. It maintains a dielectric constant of 2.53 through 500 GHz, with an extremely low dissipation factor; it experiences very little change in dielectric loss and minimal mechanical deterioration in radiation exposure up to 1000M rads. Rexolite® provides excellent rigidity and dimensional stability, and good chemical resistance. It is also a water-resistant plastic, and can withstand operating temperatures from -455° to 349°F (-270° to 176°C). These and other characteristics make Rexolite® an ideal material for microwave components, high-frequency circuit substrates, antennae, sound transducers, nondestructive material testing devices, radar windows, and other demanding applications. When working with Rexolite®, Upland Fab uses state-of-the-art multi-axis machining technology to ensure superior precision, accuracy, and repeatability. With our CNC Rexolite® machining capabilities, handling and fixturing time is minimized or eliminated, and in many cases, highly intricate parts can be completed in a single operation for fast turnarounds. Employing DPD/MBD processes (Digital Product Definition, or Model-Based Definition) enables us to work directly from your CAD models or other digital design files when machining your Rexolite® parts. This helps eliminate machining errors and improves accuracy and efficiency for higher quality, lower cost parts. We know how important reliable communication is to the success of a project. With Upland Fab, you’ll have a single point of contact through from the first stage to the last, and you’ll receive timely updates that will keep you informed on the progress of your project. We keep you up to date every step of the way. Are you looking for another material? We have the ability to machine many different materials take a look below at some of the other plastics we work with. Are you interested in taking a deeper look into which material you should be using? Contact us and we'll be happy to personally connect with you and discuss your application in more detail! We are your #1 resource for high precision Rexolite® machining. Request a quote to get started, or contact us for more information. 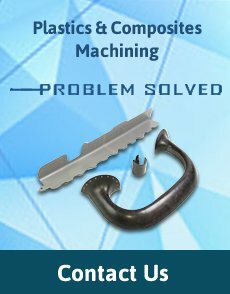 We have provided top-flight plastic and composite machining in Southern California since 1970. Contact us to discuss your Rexolite® machining needs or request a quote to get the ball rolling. Looking to start a New Plastics Project? Fill out a Request for Quote to get started.